Rating: Average 4.07 / 5 out of 59 total votes. 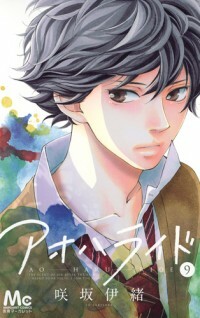 Summary: Yoshioka Futaba has a few reasons why she wants to "reset" her image and life as a new high-school student. Because she's cute and had a demure personality she was ostracized by her female friends in junior high, and because of a series of misunderstandings and mishaps, she couldn't get her feeling across to the one boy she has always liked, Tanaka Kou.